The bunker housed the Fighter Command No.11 Group Operations Room throughout the Second World War, the room from which most of the RAF’s side of the Battle of Britain was coordinated. Key decisions that would decide the fate of the nation were taken in the bunker throughout 1940 and it was thanks to the tireless work of the plotters and controllers that the RAF’s fighter pilots managed to keep the Luftwaffe at bay. The Operations Room, in reality a series of rooms on two levels some 60 feet (18m) under-ground, is reached via 76 steps. 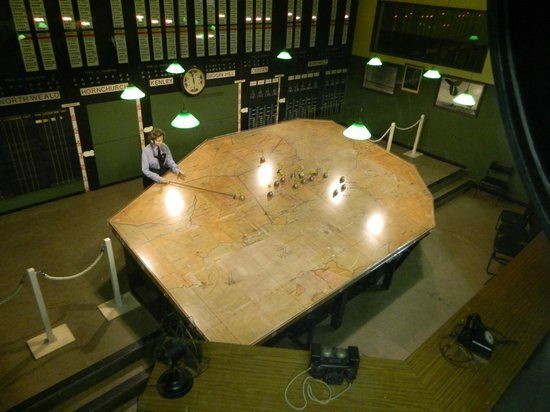 The plotting room with its large map table, squadron display boards, balloon and weather states, is exactly how it was when Winston Churchill visited on 15 September 1940. The building will be 2,000 square metres in size and set across two levels. There will be a 519 square metre main exhibition hall, which will house a variety of exhibits; 100 seat auditorium and lecture hall; a café and gift shop; reception area; toilets and a workspace for schools, corporate events and functions. We hope on completion, this iconic site becomes a visitor hotspot for years to come.